Turning a company that started in a shed in Scotland into an operation with an annual turnover of £50 million and sales in 55 countries is no easy feat. But that’s exactly what the co-founder of BrewDog, James Watt, did with the controversial multinational brewery and pub chain. In his book Business For Punks, he explains the key business and trade marketing lessons he learnt along the way to drive growth and fire the brand into both fame and notoriety. We’ve broken down the most important lessons for trade marketing professionals and budding entrepreneurs looking to launch their own product. From high-risk PR stunts involving fat cats to hard-line pricing and negotiations, here are Business For Punks’ key business and trade marketing takeaways. It’s a reoccurring theme that Watt is keen to hammer home throughout Business For Punks: let your brand mission drive you. Differentiation is difficult in a world of parity, where products can be developed at a much faster pace. In today’s consumer landscape, people want something bigger to believe in, an opportunity to be part of a change or a revolution. This in itself helps you position your product as something distinctly different within the market. This all being said, both your marketing and trade marketing activities must ring true to your mission. Just look at Gillette, who left a sour taste in many consumers' mouths with its ‘The Best Men Can Be’ campaign. It faced serious backlash for extolling virtues of gender equality and slamming ‘toxic masculinity’, yet the brand makes pink women’s razors that are more expensive than men’s. Ensure all your marketing activities are aligned with your brand ethos, otherwise both consumers and your trade audience will sniff out obvious attempts at capitalising on public sentiment. According to Watts, niche is the new mainstream and narrowing your focus to such an extent that there is no current market gives you the amazing opportunity to create a whole new category. When getting your products ranged, category buyers will want something that sits nicely within their category. Product innovation is always welcome, but you will still need to pitch it at retailers who will want to see where it will fit in their current product line-up. Of course, there’s the increasingly popular option of going direct to consumer as brands avoid giving away margin to stores that sell their products and instead are able to invest in quality material for their product. However, going direct to consumer can require significant investment in marketing and advertising from start-up brands who need brand exposure. In all cases, analyse the market, find your niche and differentiate yourself in your product positioning and brand ethos. Any trade marketing professional will know how difficult it is trying to bring a lacklustre product to market. Instead, do the market research, invest in product development, refine your value proposition and create a strong creative identity that extols your product’s strongest selling points and brand mission. Ethical nutrition brand, Viridian, knew the value of a strong brand mission to differentiate themselves in a ‘sterile’ market — that’s why they commissioned WrightObara to create a video to explain its brand ethos and engage consumers, helping the brand grow significantly. Why is your brand unique? Why is your product unique? What are you trying to change? Pitching a product cold is hard work. Pitching a product where there’s already some demand or understanding is much easier. It’s a paradox that many trade marketing professionals face: reliable distributors want to see robust sales yet in order to get robust sales you often need a reliable distributor. Instead, create a buzz first. Get bloggers and influencers to promote your products. Send free samples to key bloggers in export markets you’re targeting. Build from the ground up. A healthy bit of PR, a strong social media following and a steady rate of sales can work wonders and will attract the best distributors with links to major retailers. Unless you’re backed by wealthy investors, many brands start out hungry as hell but without the cash to feed their ambitions. 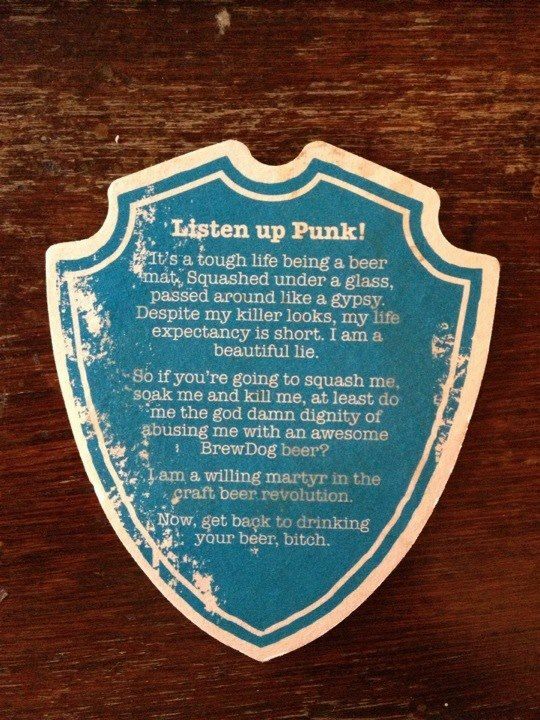 Watts highlights the need to weigh up ‘opportunity vs. cost’, and attributes BrewDog’s success due to its resourceful and shrewd marketing. Watts is a strong advocate of low-cost, high-risk, high-impact activities. These included dispatching a midget to protest outside Downing Street in a bid for the UK Government to revise its licensing laws and introduce smaller alcohol measures, enabling BrewDog to serve its high-alcohol beers responsibly. Then there’s the time the brand chartered a helicopter to fly across London to drop taxidermy 'fat cats' from the air to celebrate a new crowdfunding record. If you can create brand exposure from relatively cheap, high-impact marketing activities, it will sure drive initial sales and make big distributors and retailers take note. Don’t let trade buyers push you down. If you cut costs on production it will compromise the quality of your product. Believe in the quality. If you do something good, create a buzz and you can prove people want it, then they’ll be prepared to put their hands in their pockets to get it. If not, consider a different trade buyer. When selling to trade buyers, price laddering is a very useful tool to have in your armoury. Everything is relative. If you can provide a range of pricing options, with substantially more expensive options on the list, it ensures those opting for your average price point feel they’re getting a sweet deal. If you have a range of products, your best sellers can come across at a better value when placed with your higher-priced products. Equally, it creates a sense of exclusivity with your more premium products. Just be sure that you can demonstrate higher production costs for your premium products so buyers can justify it when cost modelling. Poor cash flow can be a killer to any business. On the other end, if you have debtors, effectively managing your debtor book is a proven and tested way to bolster cash flow. “It is a painful lesson that almost all businesses learn in their early days: there is a huge difference between making a sale and actually being paid for that sale,” Watt explains. Define your KPIs early and determine the sales and marketing metrics you’re going to track. This will enable you to assess your performance and understand what’s working and what isn’t to ensure continuous improvement. In today’s connected, multi-channel marketing landscape, everything is marketing. Internal culture has to sync with external perception and there’s nowhere for brands to hide. Just look at L’Oreal who invest substantial amounts of cash into improving work-life balance, brand perception and staff retention, offering yoga and meditation classes to their employees. It’s no wonder L’Oreal’s LinkedIn business page has over 1.6 million followers. So what does this mean for trade marketing professionals and startup entrepreneurs? Whether it’s communicating your brand mission in your sell-in presentation through an engaging product video, offering a chance for someone to sit down and try your beers at a trade show, or offering personalised messaging on your packaging when creating in-store experiential campaigns, emotion is the key driver. What’s your trade marketing strategy? There are many different routes to market for budding brands. Some require heavy investment, others can be done on a tighter budget. Download The Ultimate Guide To Trade Marketing now to explore all the options in getting your brand in front of consumers and dazzling retailers.